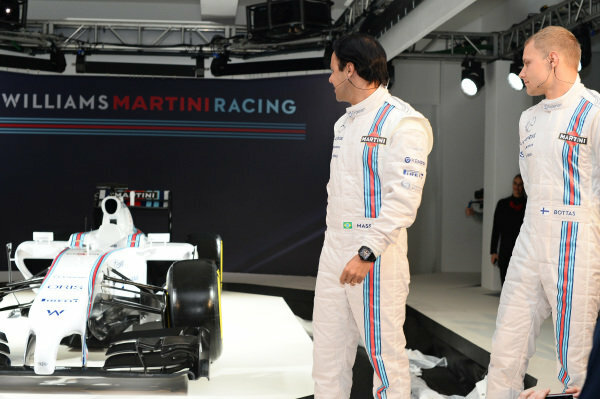 (L to R): Felipe Massa (BRA) Williams and Valtteri Bottas (FIN) Williams with the Williams Martini Racing liviried Williams FW36.<br /> Williams Martini Racing 2014 Team Launch, London, England, Thursday 6 March 2014. 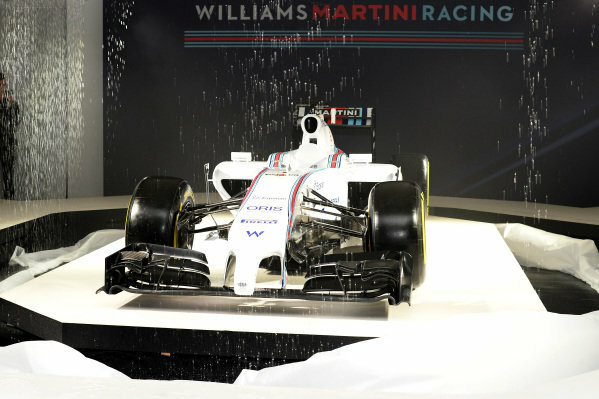 The Williams Martini Racing liviried Williams FW36.<br /> Williams Martini Racing 2014 Team Launch, London, England, Thursday 6 March 2014. 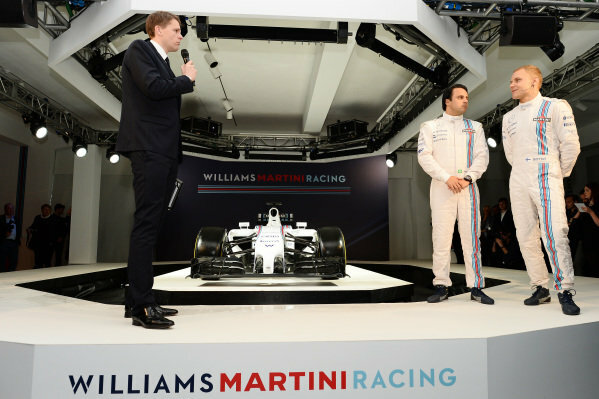 (L to R): Jake Humphrey (GBR) interviews Felipe Massa (BRA) Williams and Valtteri Bottas (FIN) Williams with the Williams Martini Racing liviried Williams FW36.<br /> Williams Martini Racing 2014 Team Launch, London, England, Thursday 6 March 2014.